Snapchat is a multimedia mobile application that is giving a tough fight to other mobile applications. More than 150 million people are using Snapchat every day. Experts are expecting that Snapchat will become number one mobile application in the coming years. Snapchat has launched five years ago but is attracting user with unique features. More than six hundred crore pictures and videos are shared through Snapchat. Most of the Snapchat users are below the age group of twenty-five years. Thus this is a great platform to reach the young consumers and Snapchat can be a great marketing platform. 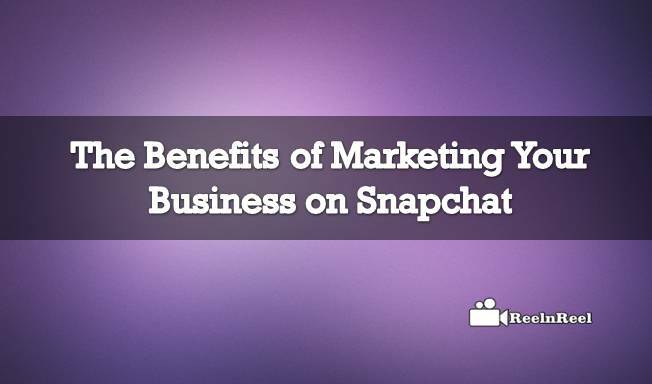 Here are the benefits of using Snapchat for marketing. • The snapchat platform is perfect for storytelling and helps in building the brand. • The snaps and stories shared via Snapchat disappear in twenty-four hours and thus there will be a sense of urgency and followers daily check the snaps and stories. • Snapchat allows interactive with the consumers and to get private feedback. This will create a personal bond between the consumer and the brand. • Businesses can use Snapchat to promote their brands or products with the help of live events. • Behind the scenes, content is the king and is loved by the audience. • Snapchat can be used as a social marketing tool. Develop the content, share it and add a call to action. This will help build a follower base. • Businesses can let the follower base know about the discounts, offers etc available. • Brands can create unique content for their followers which they cannot see on other digital platforms. Snapchat is the better opportunity to study the behavior of the youth and know about their preferences. Any brand of business will have a great future if it is able to attract the young customers. Thus businesses should use Snapchat for brand building.